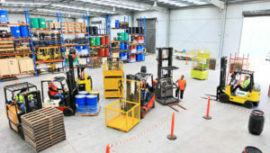 WHAT IS FINANCE WITH FORKLIFT TRAINING UK? Forklift Training UK has partnered up with Duologi to provide a finance package for all of our specialised training services. Are a permanent UK resident and able to supply a UK address history for the last 3 years. Students employed for 16 hours or more per week.